Most of our bodywork sessions are individual sessions. You can book a session with Christian or Annie. We also offer couples sessions with the tables side-by-side. This works very well for the Hot Stone Massage or Relaxation/Circulatory Massage. We offer on-site chair massage. We can set up one or two chairs at your office or event. If you need more massage therapists for an event, we can also organise this. 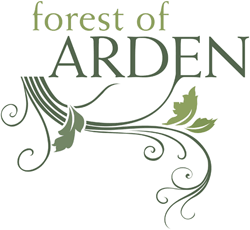 Forest of Arden can also be found in certain Märkte around Berlin. Currently we are at Boxhagener Platz Markt every Saturday from 9am-3pm (not during the winter months). We will soon be starting Radical Therapy groups. To be radical is to explore to the root of issues. In these groups of about 10 participants, we will be using bodywork, movement work, humanistic psychology, psychodrama and systems work to explore ourselves and our worlds. Groups meet weekly.